The holidays are slowing coming upon us, and we’re making sure you guys know what’s still happening in the transit world. We have the latest trending topics in the transit world. Check out our top stories we’ve rounded up this month! The first autonomous fleet of buses are set to begin their trial tests in Scotland for the new 2019 year. Innovate UK funded the new project that will include five driverless single deck buses running between Fife and Edinburgh across the Forth Road Bridge in Scotland. The company partnered with the leading bus and coach innovators, Alexander Dennis Limited (ADL), and costs for the project were $4.35 million. A driver will be authorized to be on board during the journeys due to UK guideline regulations, so that’s not so scary for those who are a little nervous about the completely autonomous fleets. Can you imagine riding our DCTA routes not being operated by drivers? On the plus side, if we had autonomous rides, you could enjoy conversations with our drivers face to face seeing that they wouldn’t have to focus on driving while chatting. Driverless vehicles may be tested across seas before getting to the US, but we’re making sure with other innovations, we’re benefitting our riders. Earlier this year, we partnered up with drive.ia to launch driverless cars in the City of Frisco. This was a great mobility option for a select group of riders at Hall Office Park to get to and from the Star in Frisco. 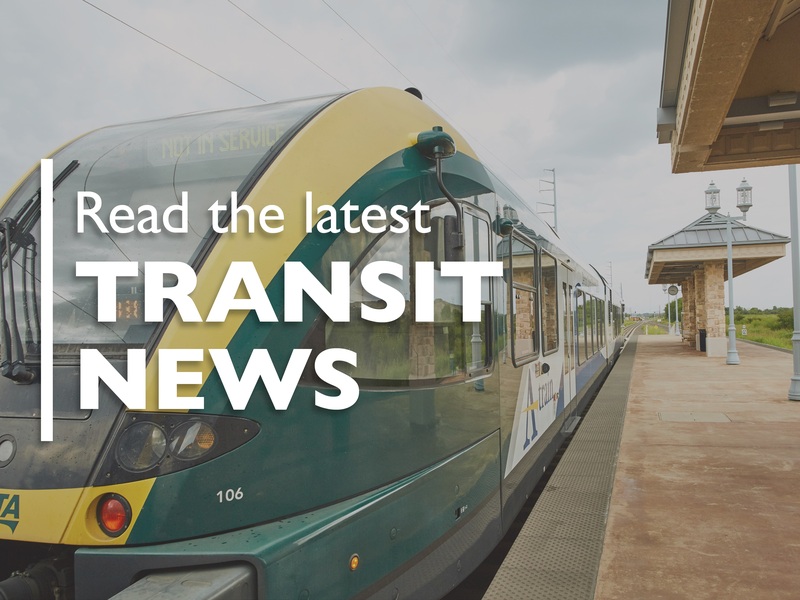 The transit fare management company, Genfare has released a survey of results that were riders top complaints when using any type of transportation system. Music being played loudly was the top complaint riders had, but other complaints consisted of bad odor from neighbors, crying babies, bare feet being present and seat kicking. While driving, the consideration for others isn’t a priority since you’re by yourself, but would this mean that Americans have just lost their consideration for others? On a bus, train, ride sharing or plane, the survey results are the typical things that would annoy anybody on transit or not. Now the question is, could companies have stricter rules for these travel considerations? What do you think? Now we of course have rules for all our riders to make sure that these pet peeves are limited with a typical experience. In our Rider Code of Conduct, no profanity, disruptive or threatening behavior is allowed on our services. You must wear headphones when listening to music. You must also wear a shirt and shoes to be allowed on our vehicles. If riders have complaints on our rides, they can submit their situations in our Go Request app in order for their problem to be addressed by one of our professionals for a solution. What are some of your personal pet peeves when you #RideDCTA? We’ve always counted transit network company (TNCs) apps like Uber or Lyft as being a new ally for the way public transportation is heading. Now questions are being raised on whether Uber is an enemy. There’s been a widespread decline in ridership across the nation, and one study by the Journal of Urban Economics says that Uber is helping aid in riders deciding to just go the extra mile by the app instead of riding to the nearest cheaper (or not) transit system. The study stated that for smaller metro companies, this is a major issue. At DCTA, we are embracing innovative technology such as Lyft. We have a partnership with the company for college students attending the University of North Texas (UNT) within the designated zone on campus. We also have this same program for our Highland Village Lyft discount program for riders in designated zones. Have a question about any of these news stories or interested in another public transit topic? Comment below to share your thoughts with us!